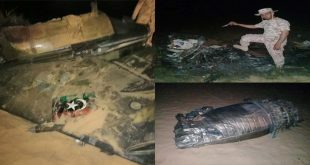 Troops loyal to the Libyan Government of National Accord (GNA) claimed that they had shot down a MiG-21 warplane of the Libyan National Army (LNA) near the city of Tripoli. According to initial reports, the jet was downed over the area of Ain Zara with a man-portable air-defense system (MANPAD). Meanwhile, the LNA leader Field Marlshal Halifa Haftar arrived in Cairo where he ment with President Abdel Fattah al-Sisi. The sides discussed the current situation in Libya, including the ongoing LNA advance on Tripoli. Egypt has close ties with the LNA and is named among one of the key backers of Field Marshal Haftar.